This book highlights the hardware and software components, functions, typical uses, coexistence, and relative merits of these connectivity features. It helps readers understand the connectivity alternatives that are available when planning and designing their data center infrastructures. The changes to this edition are based on the IBM Z hardware announcement dated April 10, 2018. 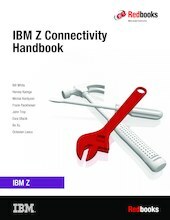 This book is intended for data center planners, IT professionals, systems engineers, and network planners who are involved in the planning of connectivity solutions for IBM mainframes.